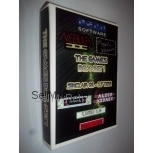 Super Tennis Cartridge Only PAL for Sega Master System from Sega (MK-4507-50) 3 days, 23h:53m:30s £2.25 Buy now! F-16 / F16 Fighter 4 days, 21h:26m:44s £4.75 Buy now! The Ninja 4 days, 21h:26m:44s £4.75 Buy now! Global Defense 4 days, 21h:28m:45s £5.75 Buy now! Trivial Pursuit - Genus Edition 4 days, 21h:28m:45s £3.95 Buy now! Super Tennis 4 days, 21h:28m:45s £3.25 Buy now! Spider-Man / Spiderman 4 days, 21h:32m:59s £7.50 Buy now! Hang-On / Hang On 4 days, 21h:32m:59s £4.95 Buy now! Spider-Man / Spiderman 4 days, 21h:34m:01s £7.95 Buy now! Space Gun 4 days, 21h:37m:05s £8.95 Buy now! RC / R.C. Grand Prix 4 days, 21h:37m:05s £11.95 Buy now! World Cup Italia '90 4 days, 21h:39m:07s £7.95 Buy now! World Grand Prix 4 days, 21h:40m:11s £2.95 Buy now! Castle Of Illusion Starring Mickey Mouse 4 days, 21h:43m:15s £11.95 Buy now! Barcelona '92 - Olympic Gold 4 days, 21h:43m:15s £2.95 Buy now! Champions Of Europe 4 days, 21h:44m:16s £2.25 Buy now! 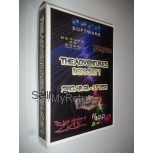 Outrun Europa 4 days, 21h:44m:16s £5.95 Buy now! Sonic The Hedgehog 2 4 days, 21h:44m:16s £3.25 Buy now! Sega Chess 4 days, 21h:44m:16s £4.25 Buy now! Castle Of Illusion Starring Mickey Mouse 4 days, 21h:47m:21s £8.95 Buy now!